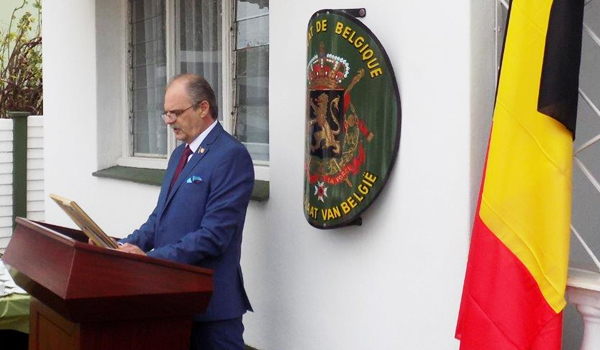 Belgium H. Consulate in Durban and the Belgium Chamber of Commerce in Durban united and celebrated in awarding a Honorary Lifetime Memership from the Belgium Chamber of Commerce in Durban. 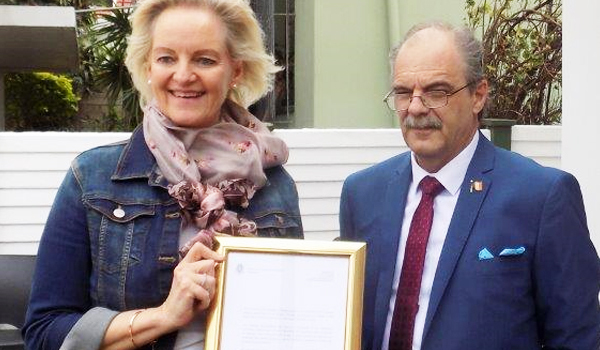 To mrs Mary Kluk, director of the the Durban Holocaust and Genocide Centre H. Consul of Belgium Alain Gringoire handed over the congratulations letter from the Belgium embassy in Pretoria to Mary Kluk for her dedicated work towards a just society. 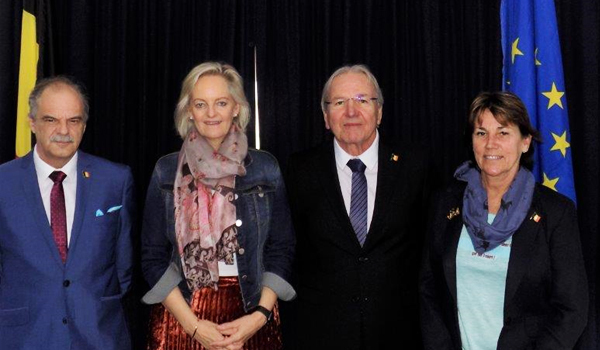 Providing a perfect example of excellence to which we all aspire as a community. 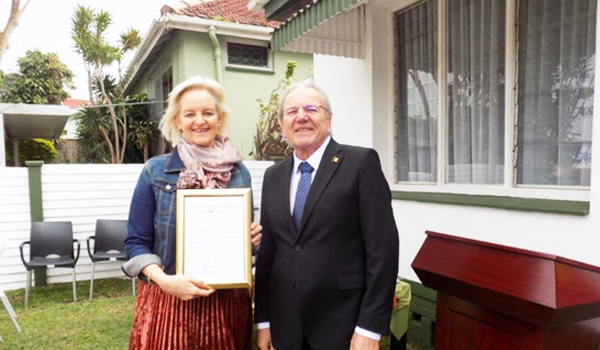 Robert Fourny President of the Belgium chamber of commerce in Durban presented Mary the Lifetime Memership Award. We wish mrs Kluk all the best.